ICE East Midlands works to promote and celebrate the outstanding work of members. It organises awards to recognise exceptional projects, teamwork and individual excellence. Discover more about the projects and people that help shape the world around you. The EMMAs are presented annually to the best civil engineering projects or to ground-breaking research in the region. All types and sizes of project are considered - past entries range from local schemes costing tens of thousands of pounds, to multi-million pound cross-county infrastructure work. The awards are presented at the ICE East Midlands Annual Awards Dinner. 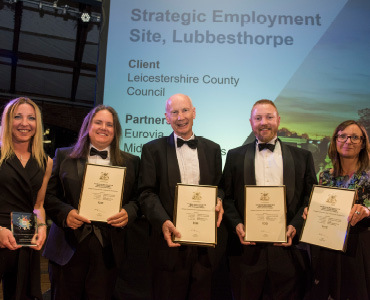 ICE East Midlands organises and supports awards that showcase the outstanding achievements of ICE members in the region. Pitch 200 is an engineering competition with a difference. As one of the four core national activities for ICE 200, this competition is an opportunity to show the general public how civil engineers transform their lives directly in order to encourage the next generation into the profession. Different to many of the other ICE competitions, Pitch 200 draws on engineers creativity to demonstrate a particular aspect of civil engineering to a public audience – and you only have 200 seconds to do it. Members at every level have the opportunity to submit a presentation in the weirdest, wackiest and most unconventional way using anything at their disposal to explain your chosen idea. Become ICE Regional Ambassador for 2019 (providing a 'money can't buy' prize that greatly increases the profile and contacts of the winner). Initial entries are a 60 second video summary of what your full presentation would be, and can be based on your own work, discipline or another aspect on civil engineering that fascinates you. It can be adapted from project reports, university/employment research papers or something entirely new. Say my name is Isambard and I've been working on this interesting suspension bridge in Bristol. For my video, I could make a model of the bridge showing how it was constructed and the engineering behind it. This video would be 60 seconds long and would be sent with the form below to my local ICE regional team. Once I'd sent it in, I'd wait to hear if I'd been shortlisted. If I am, I'll get the chance to produce a longer 200 second talk to be presented at the regional Pitch 200 heat. If I win the heat then I will go through to present at the finale at One Great George Street. The regional winner will be shortlisted for the Pitch 200 Final where the overall ICE Ambassador for 2019 will be awarded. The East & West Midlands region Pitch 200 is open to all current ICE members who live, work or study in the East or West Midlands region. To enter, you need to register your intent to join the competition by completing and sending the Pitch 200 Entry Form and 60 second summary video to [email protected] by 31 December 2017. Registration of intent to join the competition by submitting 60 second summary video via We Transfer by 31 December 2017 to the East & West Midlands Regional Support Team. This competition is held every year to promote and reward excellent communication of civil engineering issues and ideas. The Award is an excellent chance to practice your writing and presentation skills – perfect preparation for a viva or Professional Review. It'll also raise your profile, help promote your university or employer, and give you the opportunity to have your paper published. Competitors can also win a cash prize of up to £250. Plus, should your paper be chosen for the National Competition, there's another cash prize and the prestigious Institution Medal for the overall winner. The competition is open to all ICE graduate and student members with papers on any area of engineering design, research or practice. Papers have to be expertly presented and discussed, as well as innovative and well written. Graduate members can adapt papers from professional development or Professional Review reports. Student members can adapt a university project or thesis which should preferably be based on your own work. The competition is open to all graduate and student members of ICE who live, work or study in the East Midlands (Derbyshire, Leicestershire, Lincolnshire, Northamptonshire, Nottinghamshire and Rutland). A cash prize will be awarded to the regional winner, and the overall regional winner will be considered for a place in the national final. A synopsis of up to 400 words should be submitted to [email protected] by 4 March 2019 using the application form. Shortlisted candidates will be notified by 15 March 2019. Applicants are asked to submit a full 4000 word paper by 29 April 2019. The final competition will be held on 14 May 2019 at Stephenson College, Coalville. 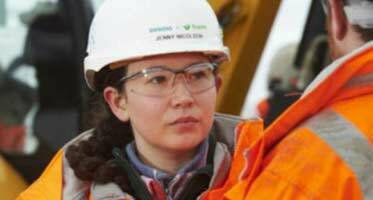 Competition heats for the Emerging Engineers Award take place across the UK. Winning papers are short-listed by the international judging panel. Three top finalists are then invited to present their papers at the international final. This is ICE East Midlands' premier award. 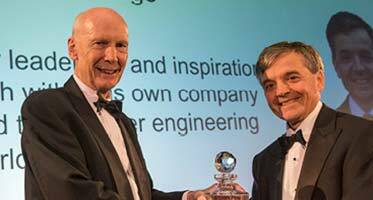 Each year it is won by someone who has made a sustained and exceptional contribution to civil engineering in the East Midlands over the course of their career. The winner may not be a civil engineer, but will have made an outstanding contribution to the profession or or certain aspects of it, such as design, research, education, investigation and management. 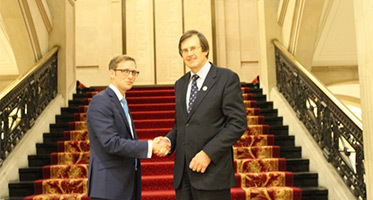 In 2018 the William Kemp Award was awarded to Robert Armitage.